Keep soap out of your baby's eyes with our flexible shampoo rinsing cup that contours around baby's forehead as you rinse. Is bathing your baby a little bit like trying to catch a slippery fish? Not to worry, there's a simple way to keep soap and water out of your little squirmer's eyes (and rinsing challenges out of your hair)! 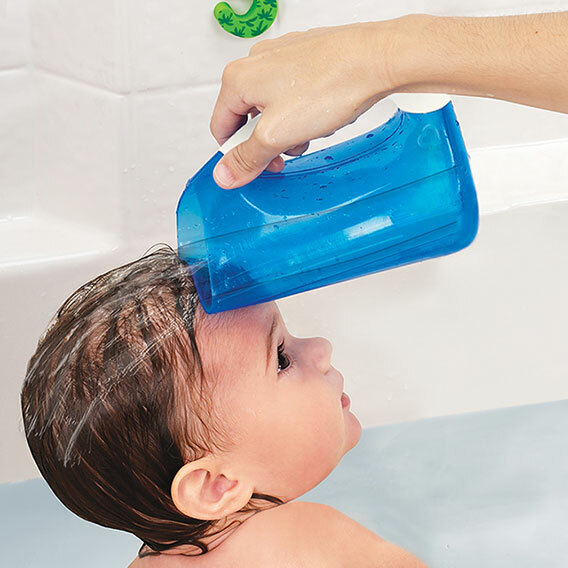 This convenient Rinse™ shampoo rinser features a soft, contoured rim that gently forms to your child's forehead, ensuring their eyes stay dry, plus an easy-grip handle so you can hold baby upright with your other hand - making sure shampooing is truly a tear-free affair.